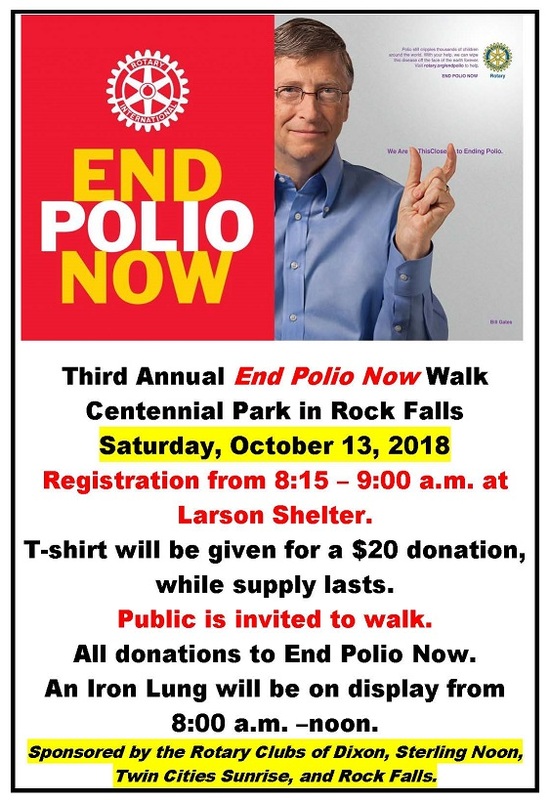 The public is invited to attend, will all donations collected and given to the End Polio Foundation at Rotary International. The Bill & Melinda Gates Foundation then triples that amount donated. We encourage and invite all to attend to help us eradicate Polio. Also on display from 8 a.m. to Noon will be the Iron Lung. For more information, contact any participating Rotarian.